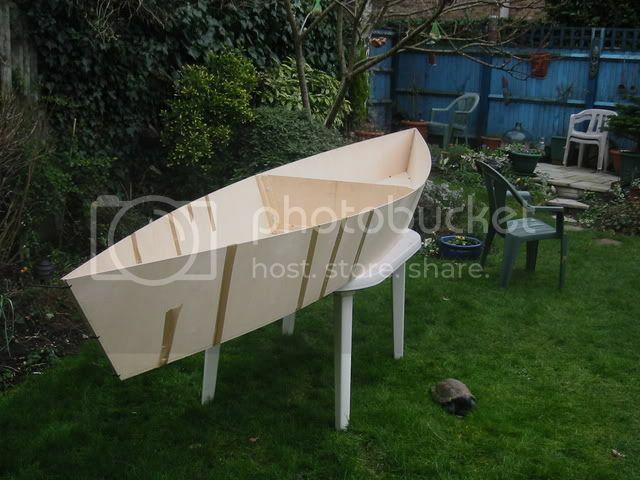 This is a retrospective Blog about the making of my wooden Pirogue (pee-row) which I built around this time last year in 2006. It was by trawling the net for helpfull hints for this project that I came across the SOTP forum, so its about time I gave some back. Pirogues originate from French Louisianna and were made from a few planks nailed together and one laid across the gunwales to make a seat. 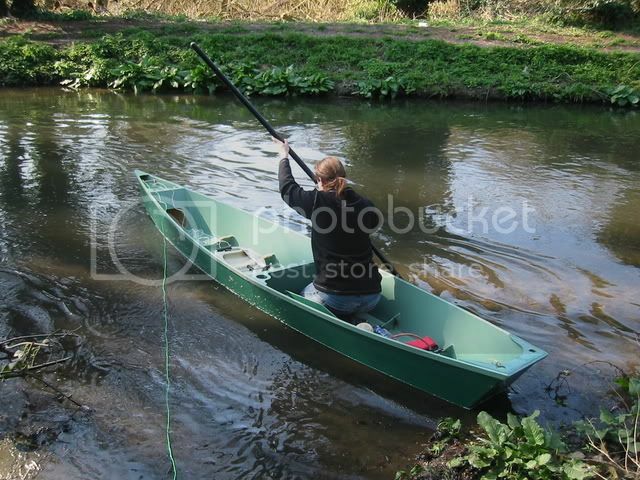 They were used like pointy punts as personal transport through the swamps, propelled by pole or paddle. 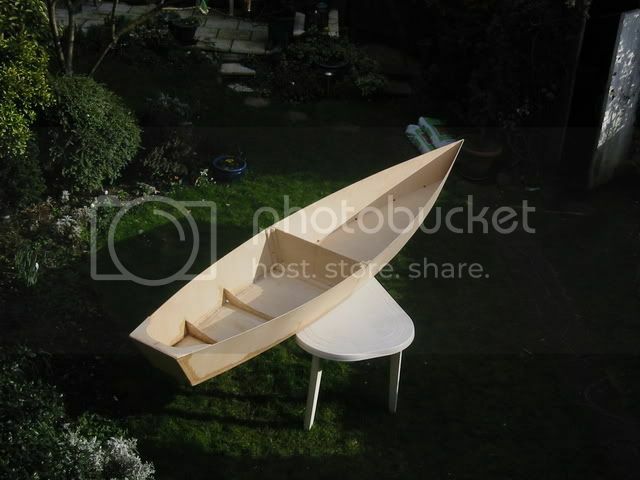 This pirogue was designed by myself to meet my needs - using CAD software and paper models. 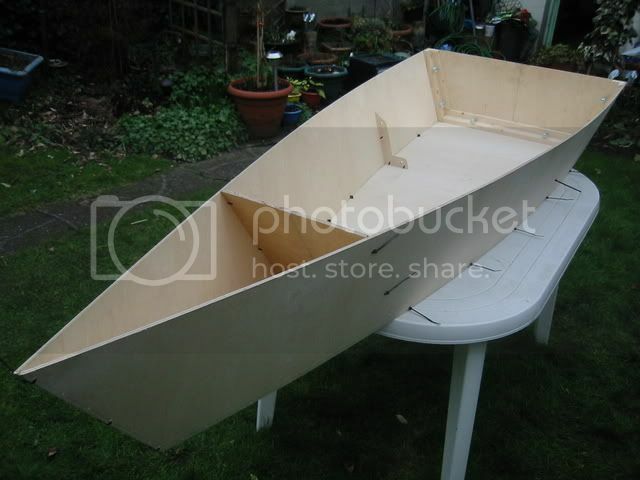 It is much deeper than a propper pirogue and desiged around getting the best out of 2 sheets of 6mm birch plywood. The centre Bulkhead was built first. Please excuse the poor looking joinery- I dont have any shots of the finished article but you get the idea. The timbers were glued and screwed to the ply before being clamped together and 8mm holes drilled for the bolts. With the two bulkheads bolted together the bottom and sides were planed so that they were flush and true. This is important as it is these timbers that prevent the diamond shape that occurs in some halved boats. With the two bulkheads fitting together perfectly I knew that I could built the halves separately and they would meet up in the middle. Instead of buying 2 big sheets of plywood, I bought 4 607x2440 sheets, mainly because this is the same width as the length between my armpit and my fingers (I carried the sheets home in two journeys from my local DIY store) and because I could saw 2 sheets down the middle to make the 4 side panels. Tip: two ladders laying side by side on the floor with a gap inbetween works well when cutting a long straight line with a jigsaw. 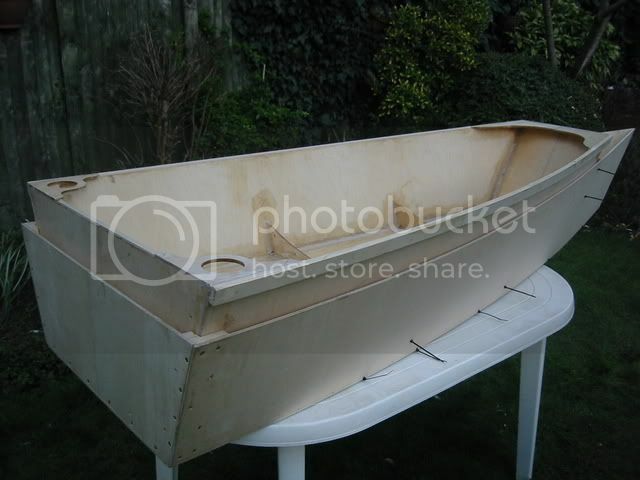 screwed to the bulkhead and are shown here temporaily stitched at the bow to give an idea of the shape and size. Oh f k this things going to be massive! Sorry, I dont have any photos of marking out or cutting the bottom panels. 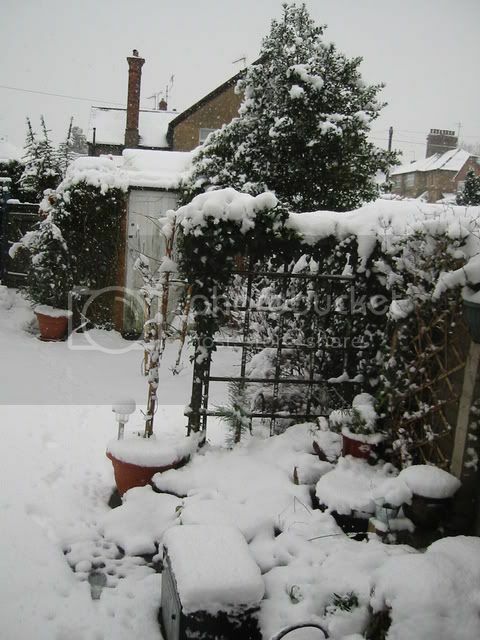 I think this was done during the heavy snow and I had to work in 30 min bursts before my feet got too cold. I lofted some dimensions from my drawing and used the pin and batten technique to mark the curves. 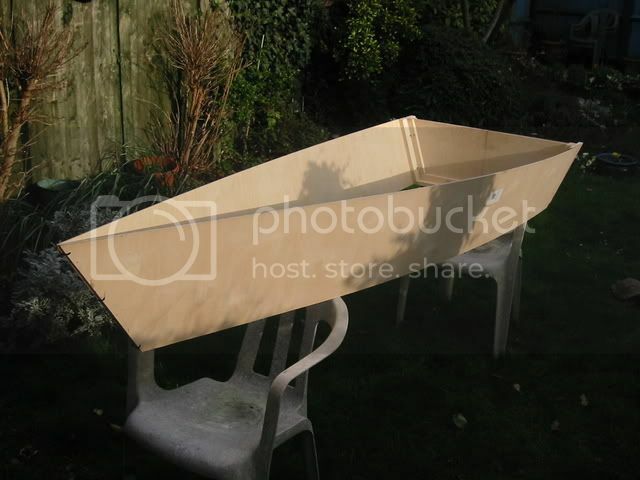 Some pirogue builders simply lay the plywood on the bottom and draw round the sides with a pencil - but Im sure I would have ended up with a twisted hull that way, given my workbench was a plastic garden table! Hey now that looks like a boat! I temporarily bolted the two halves together and stood there staring at it for 10mins. Somehow I didn't imagine it was going to be this big! ( where the h l am I going to put it?) I used parcel tape to hold the bottoms on in the right place while I stitched everything together with cable ties. 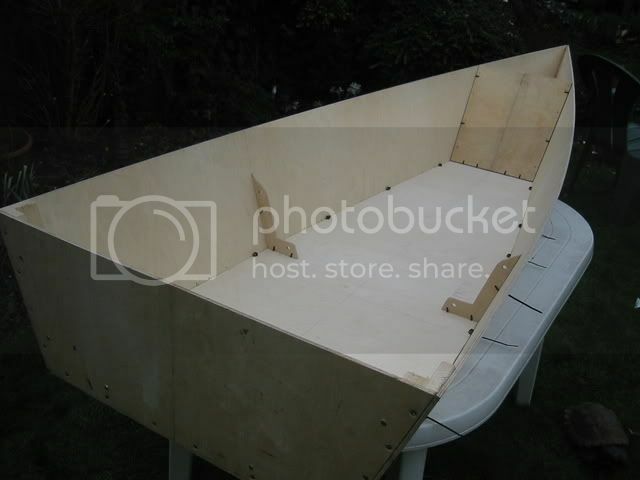 The bottoms are what give the boat its shape at this stage as they push the sides out a little, which then rise because of the angled join at the ends - in turn pulling up the bottoms to give a good amount of rocker. tightly down into the chines, persuaded the sides to bow outwards. Notice the little lumps where the stitches are. These are small lengths of pencil, that are put in the corners where the cables ties are to aply equal pressure and hold the panels in the correct position - without them the panels would overlap rather than meet. 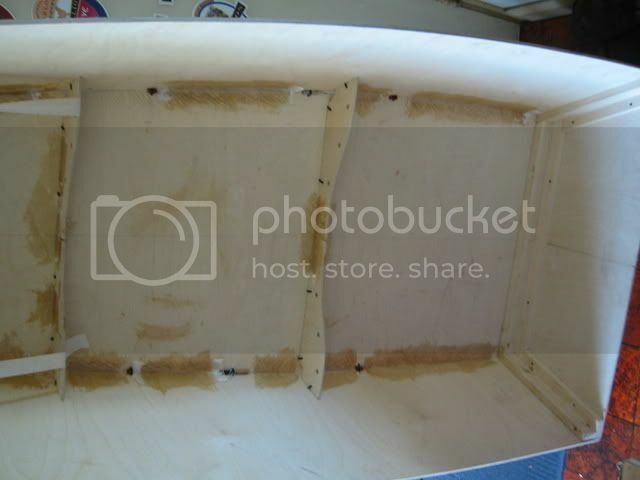 These photos (above) also show one of the bow/stern bulkheads one of which will form the floation locker, the other will become a transom stern, I know... I didnt want one but it was necessary for the stacking ok.
rigid, even before fibreglass. I kept the boat upstairs and carried it down everyday to work on it, so it got knocked about allot and dropped more than once. I wanted to remove the stitches so I had to 'Tack Weld' the bits together. With Epoxy you would mix up a filler and run fillets between the stapes. I didnt think Polyester resin on its own would be up to this, so I used 4'' long peices of Fibreglass tape. I should have used some resin/woodflower mix to put a fillet in the chines before apllying the tape, but the tape seemed to go into the corners happily without any bubbles - looking back Im amazed this worked but it was strong enough to carry the thing upstairs and back down again the next day without the cable ties. If your wondering what all those little dark marks are, they are the result of taking a stanley knife to the ares where the tape was to be applied and cross hatching it to help the resin get a grip. I thought this was a good idea after reading horror stories of Polyester sticth and tape boats falling apart due to delamination. Took ages, made it look tatty and I doubt it did any good, anyways - live and learn. Theres a gap in the photo record here. The fibreglassing went quite smoothly. Took me a while to get used to the cloth tape as I had only ever used matting before. Put a fillet of filler round all the joints using the back of a spoon to get a smooth radius. 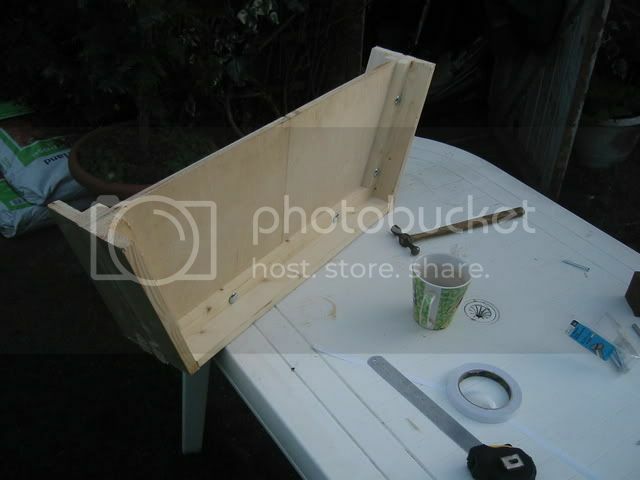 Also get a generous bead of filler into the gap between the bottom and side panels on the outside. TIP: put masking tape either side of the joint you are filling - I didn't and had to spend time scraping off the envitable drips and messy bits. Mix up some resin, paint some on the joint, lay on the tape and push it down with the brush - you want it wet enough for the tape to go clear but only use just enough resin, too much can cause delamination. I let then let the resin cure untill it was hard enough to sand off any lumpy bits by hand - wiped it over with acetone and then put on an extra layer of cloth for durability and rigidity. And it fits inside too! The bottom rests on the ribs of the other half (which were curved in the middle to clear the keel strip. When Fiberglassing the bow I mixed up some thick filler and appllied it to the stem. I then waited untill it started to gel (thicken but not set ) placed cloth tape over it and moulded it by hand into a radius then gave it a coat of plain resin. The result was an imensly strong polyester stem that could have 1/4'' chunks taken out of it before water would compromise the wood. Notice the well above the bow locker, the idea was to stop splashes and drips from wet ropes from entering the boat and instead running out of holes drilled in the sides. With the top of the locker being lowered I could also fit a good sturdy dowel as a carry handle. I then set off down the road towards the river - I got a few funny looks but the boat got a fair few aswell and we soon arrived at the river bank. The two halves bolted together around a set of foam rubber washers that made the seal. This was made easier by sliding the bow half into the water first so that it was at the same angle as the bank and could be lined up with the stern. the river. We grounded at one point very solidly and away from the bank, after shifting some weight and lots of scratching sounds we were off again. I only managed a few short trips out in this boat before starting another project. 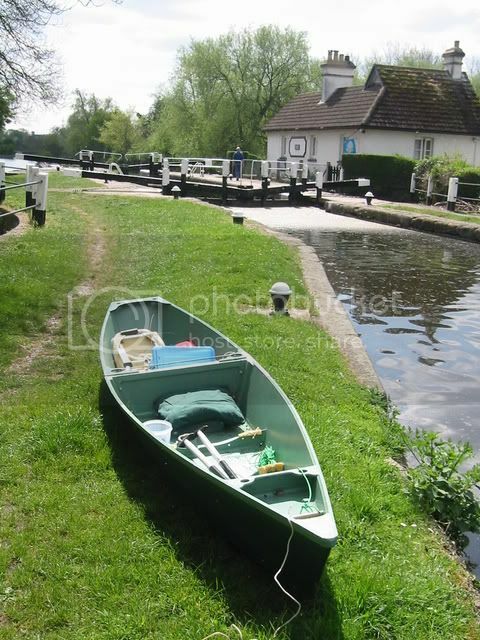 But in that time I paddled up onto banks, scraped over shallows and dragged it in and out of the canal. The paint held up surprisingly well with only 2 or 3 scratches through to the resin, some whitish scuffs and a chunk out of the keel due to an encounter with a motorbike engine. Now then did you spot the big mistake early on in the build? Thiswas an easy thing to fix. After finishing my day on the water I sanded back down to the wood and left it in the sun to dry. I then made a small tool that was kind of like a tiny hooked knife and proceeded to carve a deep V shaped channel around the joint between the plywood and the bulkhead. 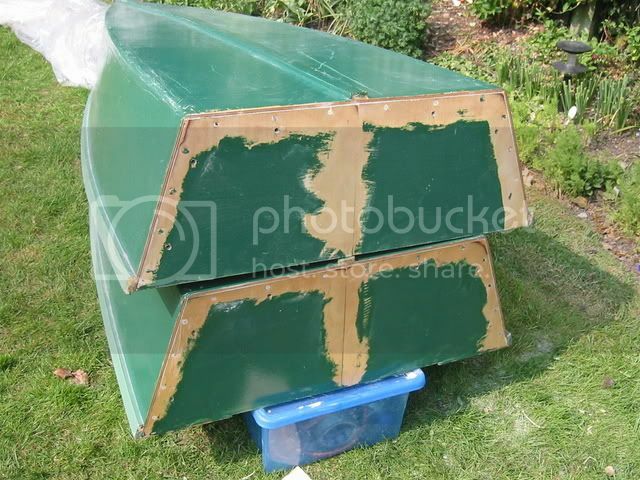 Some waterproof putty, resin and a couple of coats of paint she was back on the water. Great blog, very interesting I have being thinking about building something along the same lines. Trouble is, I have not got the design skills that you have. Been wondering for the last 12 months as to how you pronounced that, now I know! Nice boat, entertaining blog, Happy New Year! A great blogg Hobgobblin and a fantastic achievement. I take my hat off to anyone with skills such as yours. Me? I struggle to paddle the things let alone build them. I think that the picture showing the stern section fitting perfectly inside the bow says it all. 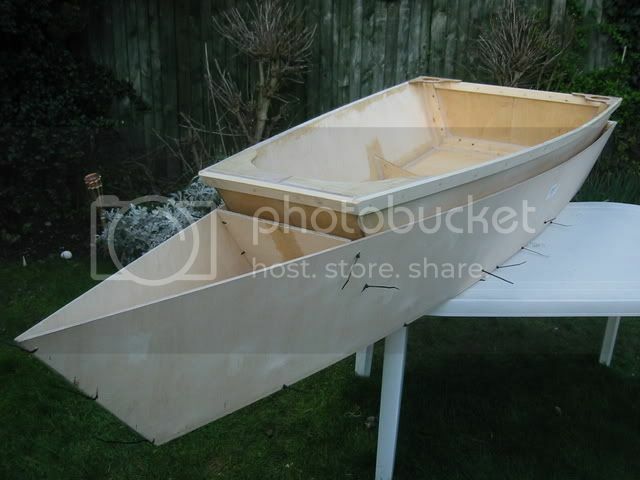 Beautiful boat and great blogg, it is nice to witness the birth of a boat. Do you mean you would like to build a pirogue, or a pirogue that stacks inside its self? 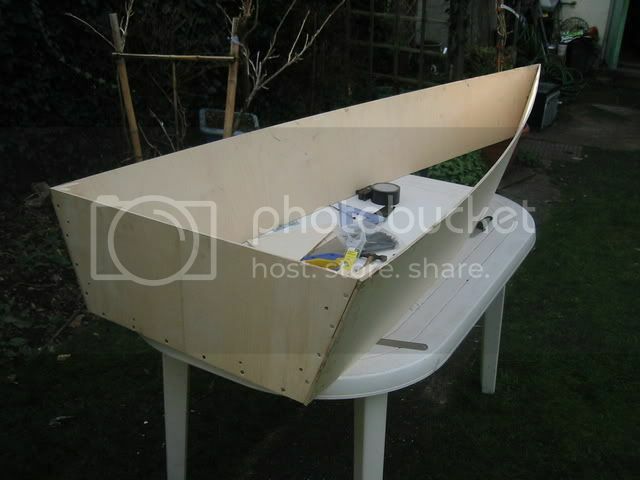 I probably still have the drawing that I used to build this - so I could fling some dimensions your way, or at least show you how I got all the plywood parts out of 2 sheets of ply. I Would be very happy to help. Great and very informative. Another one for me to add to the main site. Very nice build, Hobgoblin. 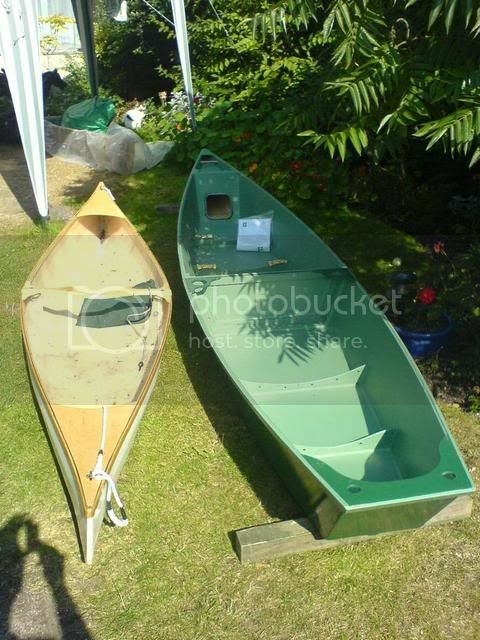 I think pirogues are gracefull looking boats and you made yours practical as well. Hello, first real post and already I'm bringing up long dead threads, for this I apologise. But, the reason I did was to ask about the bulkheads. 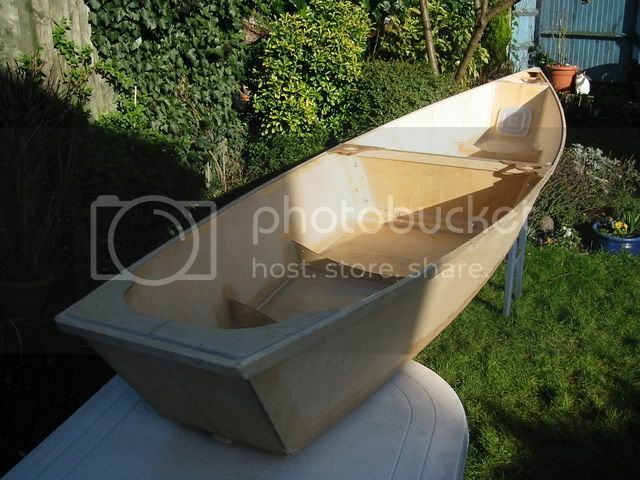 I've been contemplating a stacking pirogue like boat for a while now and intially thought of having bulkheads like the OP, but I wondered if anyone had any thoughts on lowered central bulkheads, made by cutting out the centre. In fact if you look at the picture with the paint sanded off to seal up the bulkhead joins you could imagine cutting out pretty much all of the still painted bit. It'd make life much easier for getting forwards tot he locker and could always provide a good position for a seat amidships. Or can anyone see a problem staring me in the face? (and now off to write a hello thread). PS. And this is a very good looking boat btw. Or can anyone see a problem staring me in the face? Yes I can see that, and I wouldn't imagine doing it so that the bottom of the "hole" was below the waterline, you'd still have some form of bulkhead, just not all the way up. 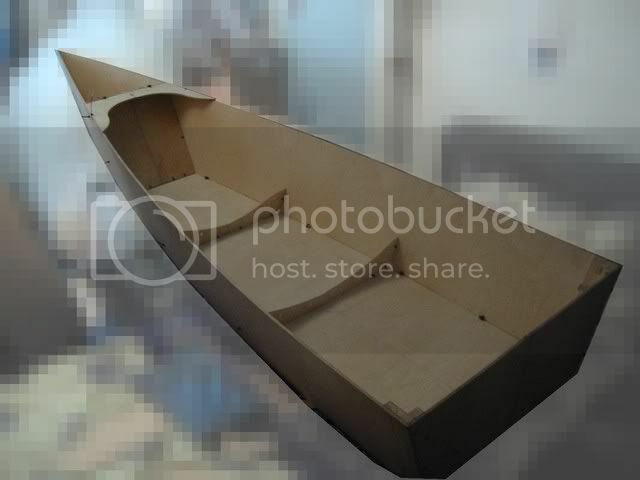 I made a small boat like this to practice with epoxy and stitch and glue (never built anything before). 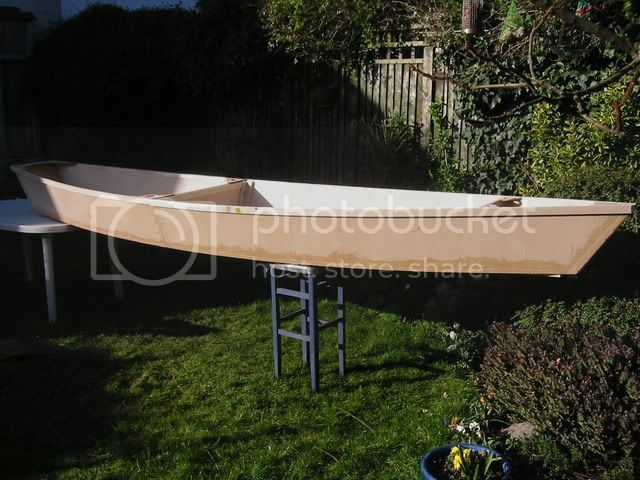 A simple wee boat 8 feet long that uses one sheet of 4mm ply and is split in the middle. It has lowered central builkheads. Can't a link for it just now but I'll come back and edit. 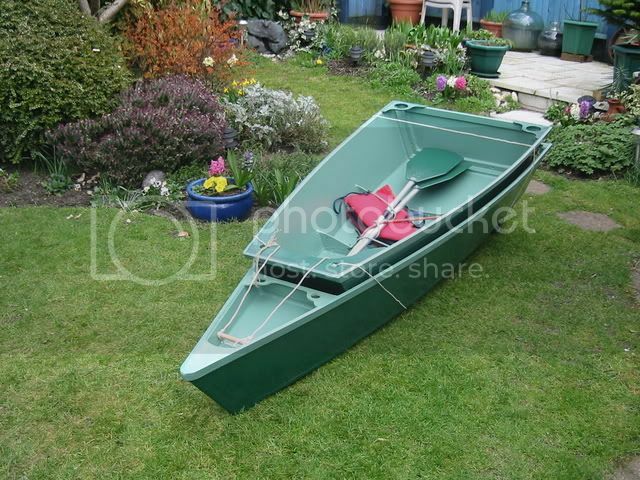 I need a nesting boat and I very much like your design. How long did this project take? Don. Thats a lovely looking Piroque . Any chance of the lofting plans . Good evening sir. 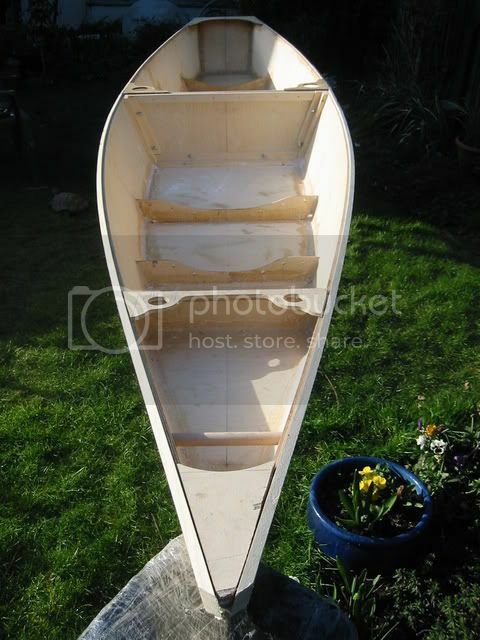 Just came across your stackable pirogue how to and it looks perfect. Do you have plans that you could email me? 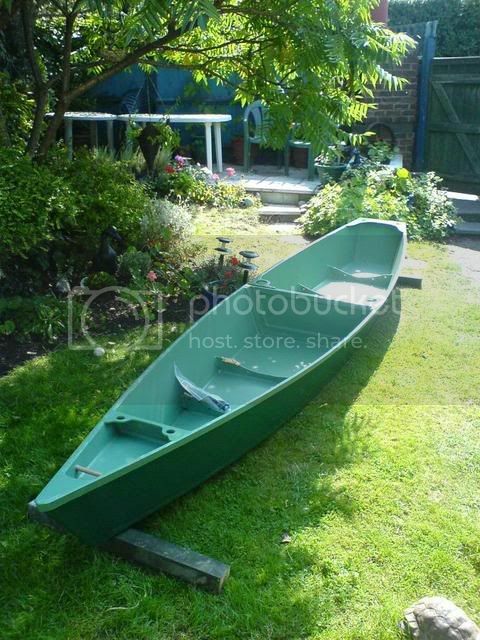 I'm hoping to build a 2 man open canoe with my brother for camping trips and this would be perfect for my little car and shed! Would you reccomend this beast or have you a newer better version as you hinted to in the now infamous thread. Hobgoblin hasn't been on the forum for some time but you may get a response if you PM him. Oh wait, now I should be able to!